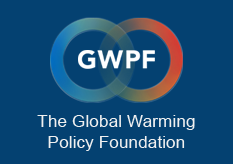 Today, the Global Warming Policy Forum is starting a campaign, calling on the next government to scrap the EU Renewable Energy Directive. Please support our online petition and sign here. The first priority of British energy policy should be to ensure cheap and reliable energy. Renewable energy levies have made this impossible by mandating the use of expensive and intermittent technologies. The consequence has been far too many Britons living in fuel poverty. As Britain leaves the EU it should abandon the Renewables Directive. This will boost consumer spending, reduce fuel poverty and revitalise the British economy. Please support and sign our petition here — and call on your MP, your friends, family and colleagues to support our petition. The more support we can get, the better the chances of reforming UK energy policy and reducing fuel poverty in coming years.